The lighting really is so pretty here. Gorgeous! The b&w really makes you study the form. 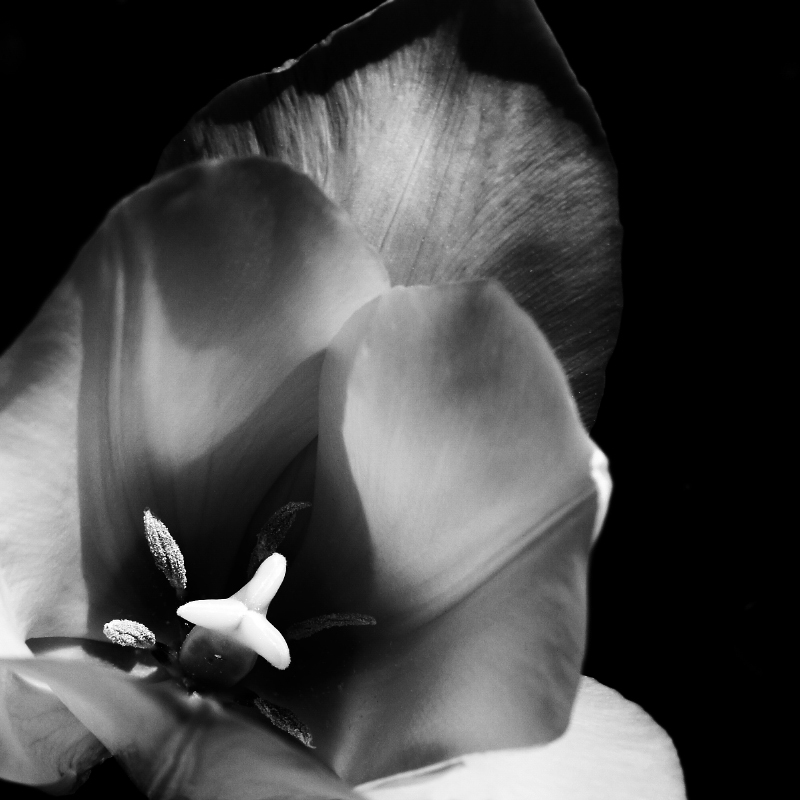 A very nice capture of a tulip in B&W. I like how the center seems to just glow! Unique lighting. Great flower parts detail. Very cool detail in the petals, too. Beautiful sparkle - light and texture - on the anthers. I like the out-of-darkness feel to this, too. Proudly hosted by Sargasso Networks. Current Server Time: 04/24/2019 06:15:22 AM EDT.